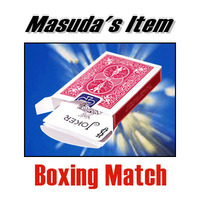 Today, when you order "Boxing Match by Katsuya Masuda", you'll instantly be emailed a Penguin Magic gift certificate. You can spend it on anything you like at Penguin, just like cash. Just complete your order as normal, and within seconds you'll get an email with your gift certificate. A deck of cards is removed from its case, which is shown empty. 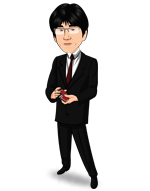 The joker is removed from the pack and replaced inside the case, as you explain that it is a prediction. A spectator selects a card from the rest of the pack. However, it is not another joker-it is a completely different card, for example the king of diamonds. The performer picks up the card box, holding it with the mouth toward the audience so that everyone can see the incorrect joker within. He flicks his finger against the box, and suddenly the joker change into a king of diamonds! The card is removed from the box, which is still seen to be otherwise empty! Depend on what type of magic tricks you good at, overall is a great close up magic trick. 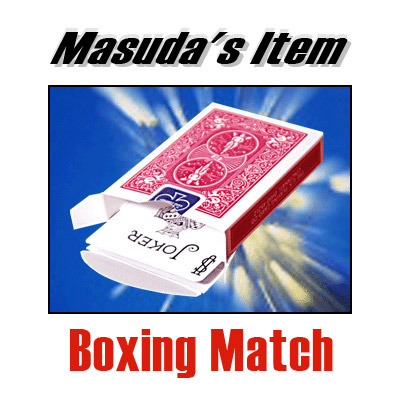 Without giving too much away this uses a gimmicked card box which I think is great because we all carry card boxes around so we may as well make use of them. A nice trick but more importantly a nice gimmick which can be used for all sorts of effects. Yes, it's a very clever gimmick, and I admire the way it works... but there's just no magic here. The move required to the trigger the gimmick is done openly, and the obvious conclusion the spectator will come to is that this is somehow a trick box... so naturally, they'll want to look at it, which obviously, you can't let them do. Masuda effects are almost always exceptionally creative and different. This is no exception... unfortunately, this doesn't always translate into a good effect. Too much of the thinking seems to be devoted to the cleverness of the gimmicks, rather than the strength of the effects you can do with them. Unfortunately, this is a prime example of an effect that's not nearly as good as the thinking that went into it.